The hubby and I went for “Immortals” today (finally) – at the end of it though I wish I had not gone. Don’t get me wrong – I loved the movie; but it has ruined my cricket viewing forever – more specifically English cricket viewing, even more specifically viewing Alastair Cook bat. The fact that he is strikingly similar to Theseus a.k.a Henry Cavill is not going to go off my mind. 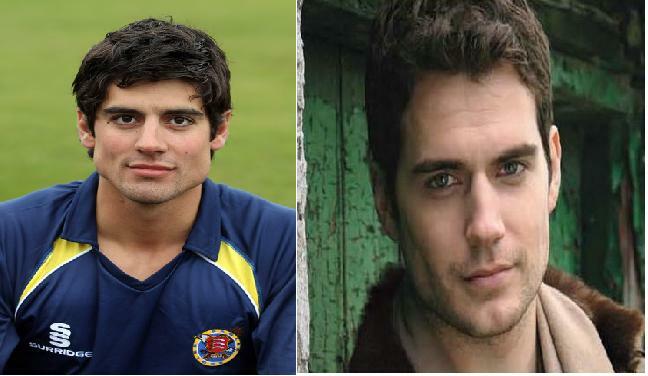 I loved Henry Cavill as Theseus – just how handsome was he in the movie; and now from liking Alastair Cook I’m going to be loving Cook – cause everytime he heads out to bat , he will remind me of Theseus. Now only if he were to show Theseus’s rage and aggression my fandom would be complete! I noticed this after I watched man of steel haha!